The short review: based on a read-through, this is one of my favorite Lamentations adventure efforts, probably right below Tower of the Stargazer (my favorite) and Death Frost Doom (my second favorite). I was hoping for a “weird” take on a more traditional fantasy dungeon adventure (with factions and tent pole potential), and that is definitely not what this module is. However, it is a very ambitious attempt at tacking something else that I am very interested in: making exploration time (as a cost) the centerpiece of a scenario. The layout and physical appearance is among the best that LotFP has produced to date. I love the slight fade to gray around the edges, which makes every page almost seem to glow. The standard LotFP digest size also makes the PDF convenient to read on a tablet. The art is, however, not up to the standards of releases like Carcosa or The Monolith From Beyond Space and Time (though it is by no means bad). For the long review, with spoilers, continue beyond the period tower. The setting and atmosphere are historical, but in a way that should be easy to incorporate into many fantasy settings. A saint has been corrupted in the past and transformed into a terrible monster. However, the village populace still believes that the creature is somehow holy and seeks to protect it and hide it from outsiders. It’s also part of a higher-up church conspiracy (or at least some church superiors know about the cult and seek to keep it secret if for no other reason than to protect the reputation of the church). I really like the main adventure hook. Though it likely traps the PCs in a bad situation, it is entirely opt-in. That is, players are going to be drawn in by their own curiosity (rather than railroaded into the adventure), and there are many possible approaches. Minimal investigation could easily reveal warning signs that all is not right, but I suspect most players will not question the hook. This could be an issue in a campaign where players do not decide which leads to take, but it should be fine for either a one-shot or an extended sandbox game. This also means that if players are smart and come at the adventure from an odd angle, or wait until they are powerful enough to challenge the god directly, they should not be penalized. Also, questioning adventure hooks is a matter of player skill, in my mind — players should always worry about being used as tools by NPCs for unwholesome ends. It is also possible, through skillful dungeon play, to come out ahead in the end, though I would consider the scenario as a whole to be difficult and potentially punishing. There’s nothing wrong with that for players that are up for a challenge though. The map itself looks like it might be one of the few labyrinth style dungeons (maze of twisty little passages) that I think might be fun to play through literally and diegetically, mostly because there are so many interesting (if a bit arbitrary, sometimes) tricks scattered around for players to interact with. There is enough variance to keep the areas from feeling too similar (and much of that variance is not merely cosmetic; it also contains real clues). The decision to use one powerful monster as the tool of time pressure rather than an arbitrary number of wandering monsters is interesting and thematically sound (horror stories are much more likely to have one horrible creature stalking the protagonists and getting closer and closer, rather than patrols of orcs or whatever). The time spent reaping the potential module rewards (which are real) directly increases the chances of encountering the god — which is old school dungeoneering reduced to its essence. LotFP modules are sometimes criticized for only having “screw you” magic items. There are certainly a few problematic items in TGTC, but there is also plenty of treasure that has no strings attached (as described above, explicit risk versus reward is the major design principle of the dungeon). Further, the items with drawbacks are interesting and seem like they might lead to some fun play without just punishing players for interacting with weird elements. I like the book and its new spells, though it would probably require several readings to really understand how to run it. The chariot has some silly player-dependent mechanics (including the painting of a player nose — but those are easy enough to ignore). There are also a few items that have interesting effects but perhaps lead to outcomes that are a bit to final for my taste (such as “I am the gate”) which I would either excise or tweak slightly. One of the most valuable aspects of this module is that running it successfully seems like it would require a mastery of movement rates and encumbrance. That may sound tedious (or trivial) but stay with me here. The game part of the dungeon revolves around the trade-off between spending time (and making noise) breaking open sealed treasure caches. The time and noise made increases the probability of encountering the god, which is probably too difficult to fight, which means that PCs need to flee if they want to survive. If you can run this module successfully, you should be able to run chases and pursuit in any other dungeon context. Thus, The God That Crawls makes for great practice regarding an important referee skill that is not (in my experience) used as much as it should be. Overall, this looks like an excellent module, both as a fully realized adventure locale and as a source of ideas to insert into other dungeons (especially the numerous tricks). I think it will require some effort to prepare and run successfully, but I bet that anyone running it will end up as a better referee for doing so. This entry was posted in Uncategorized on September 30, 2012 by Necropraxis. Reality is a war between the ordering force of civilization and the pure chaos of the wild maelstrom. The farther from outposts of order, the more raw untamed power seethes just beneath the surface. Those that tap this dangerous and sanity bending power are sorcerers, and woe follows in their path. To work their magic, sorcerers must have chaos to shape. The more chaotic the location, the more power is available. The most dangerous areas, such as deep in the underworld or perilous wilderness are the most chaotic. A wonder worker’s mortal mind cannot perceive chaos directly. It cannot be seen, tasted, or felt. Thus, the character can only speak of chaos in metaphors: trickles, flows, torrents, leaks. But this is not chaos. The way that can be named is not the way. The referee will keep track of quantitative details. Shaping chaos is dangerous. Sorcerers can’t control exactly how much power they draw. Once tapped, the power must be used quickly lest it consume the sorcerer. Any worker of wonders that ends a turn holding chaos must make a saving throw versus magic. Upon the first and second such failure, they manifest a chaos leak, and the chaos decreases. If there is a third failure, they are consumed by the chaos. Unused chaos may by burned off assuming the sorcerer is not in a stressful situation. Chaos may be contested. As an action, one sorcerer may attempt to steal chaos from another. The target makes a saving throw versus magic. Upon failure, the target takes one point of damage and loses a trickle of chaos. The aggressor gains that same amount. As an action, wonder workers may attempt to siphon off power directly from chaotic creatures. The target must make a saving throw versus magic, and upon failure the creature takes 1 point of damage and the sorcerer gains access to some chaos. The referee will track how much, and this may vary by creature. The chaotic entity so targeted is now linked to the sorcerer, and is usually enraged by the theft. 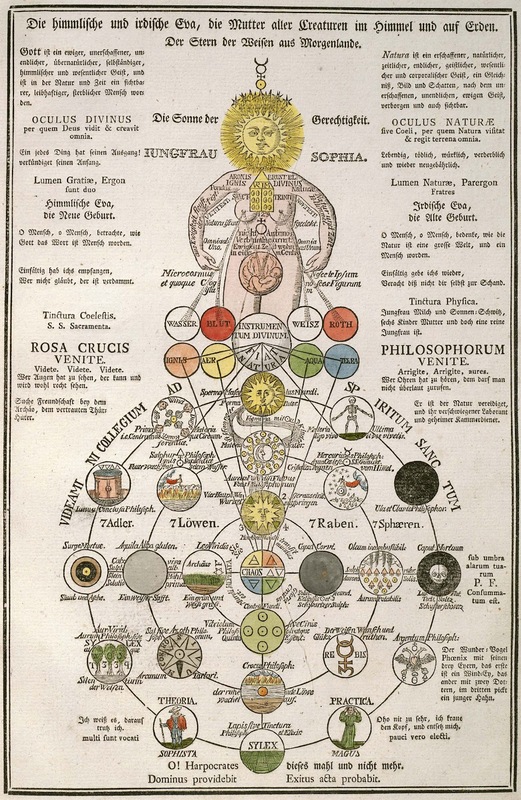 This link may manifest in a variety of ways, and can often be quite dangerous to the wonder worker (thus, many sorcerers attempt to destroy the sources of chaos that they feed upon in this way). Sentient life energy, taken without consent, may be used in lieu of chaos. 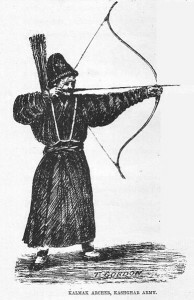 A sorcerer may target any intelligent creature within the range of a dagger throw; the target then makes a saving throw versus magic. 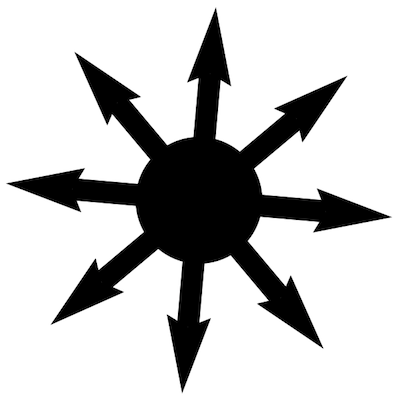 Upon failure, the target takes 1d6 points of nonlethal damage, and the magic-user gains access to a trickle of chaos. In either case, the sign of sorcery will be upon the victim and the two will be connected. There may be other more violent and permanent methods to harness the power of sacrifice. A sorcerer may attempt to draw up to 1d6 points per round. They may cast immediately, or hold the power and attempt to build up more (save against chaos leak as specified above). A spell requires 1 point of chaos per spell level (thus, a traditional fireball would require 3 points of chaos). 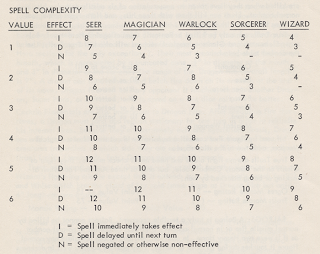 Spells cast with insufficient chaos fail and require a save versus magic to avoid a mishap (see bottom of that post for one possible table). Casting rules could be reliable or require a casting check. All such effect tables (leaks, mishaps, overloads) should regularly be refreshed. Consider replacing used entries between sessions to keep things interesting. An “area” should be approximately defined beforehand by the referee, but follows no strict rules. A small cluster of rooms or a subzone could be appropriate area sizes. Think about how many rooms your players can explore in a single session and go from there. Certain areas of power may break any and all of these rules. Mechanical transparency or mechanical opacity? In the transparent model, the referee tells the player, you harness a flow of chaos, 7 points, and then the player is responsible for tracking those points and can make decisions based on that quantitative knowledge. In the opaque model, the referee tells the player something like: you can sieze only a trickle of chaos. Does this mean 1 point or 3? The player doesn’t know. The referee needs to track the numbers, which might be a hassle, but all else being equal the danger and mystery of magic will be reinforced by uncertainty. The above model as outlined assumes the opaque model, but I expect that it would work in both modes. This entry was posted in Uncategorized and tagged magic-user on September 27, 2012 by Necropraxis. Being a collection of side effects indicating that a magic-user is beginning to lose control of harnessed power. All chaos leaks last for 1 turn (10 minutes) and then slowly fade away. This entry was posted in Uncategorized and tagged magic-user on September 25, 2012 by Necropraxis. A while back, Jeff wrote a post about Chainmail-style roll-to-cast magic. This came to my attention again recently because Jeremy was discussing using a similar system to replace spell preparation. And then I saw this by Brock about replacing cleric spells with general “miracles” and a saving throw mechanic. The details of that system are not important for my purposes here, save one: every miracle granted imposes a -1 cumulative penalty on future attempts. What if we combined Chainmail casting with a cumulative penalty? A point of “arcane stress” would accrue to the magic-user upon any result of delay or worse. At no point is a magic-user ever prevented from attempting to cast, but the more they cast, the less reliable magic becomes, and the more likely a mishap or backfire will be triggered. This could entirely replace prepared spells, yet maintain a cost to casting. Like my save to retain spells variation, it makes lower level spells closer to at-will magic as magic-user level rises without actually removing resource management (the resource cost comes in the form of potentially making future spell casting more difficult). Arcane stress goes away between sessions or adventures (basically, any time that a character would traditionally be able to prepare spells). It has most of the benefits of a spell point system but far superior atmosphere (in my opinion, at least). This entry was posted in Rules and tagged magic-user on September 24, 2012 by Necropraxis. Cleric magic and wizard magic are often considered to be inherently different, with cleric magic flowing from gods and wizard magic flowing from something else. 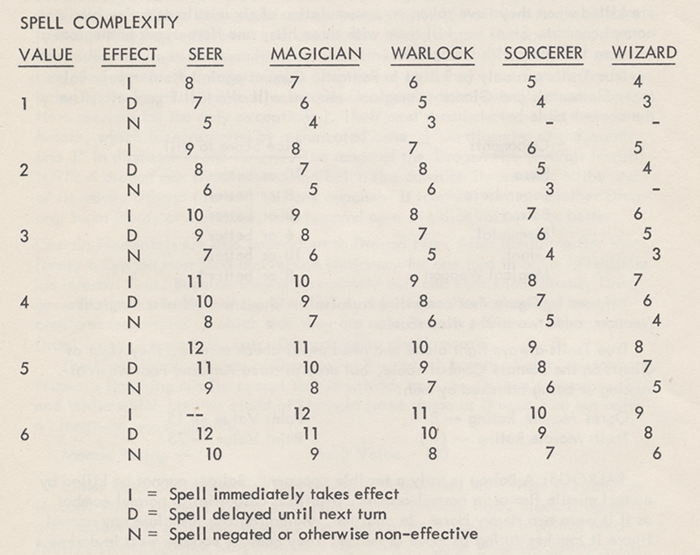 Third Edition formalized this by creating the categories “divine” and “arcane” for spells. Fourth Edition added the concept of power sources explicitly, including several other categories like “primal” for druids and “psionic” for mind powers. 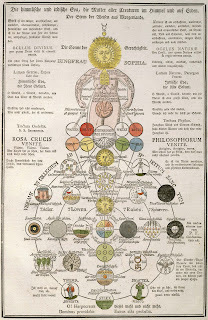 The differentiation was present before in the “spheres” of Second Edition and spell lists of First Edition too, but the metaphysics was ambiguous. The OD&D text hints in several ways that maybe the two kinds of magic are not actually so different. What if there was no difference between cleric and wizard magic, and clerics were just church-sanctioned sorcerers? There would be no question about whether church-wizards were conversing directly with gods or causing miracles. In a way, it would be like governments controlling access to weapons, with the added wrinkle of “purity” systems that come with religion. The restricted spell list would make sense, because those would be the spells known and taught by church authorities. Perhaps they are only taught by certain sects, and are subject to schisms within the church proper. Such conflict could be grist for an entire campaign. Clerics less oriented to the holy warrior archetype could use the magic-user class mechanically, but with the cleric spell list. This probably demands some sort of colors of magic system as well, to prevent the blandness of a magic-user without principles just accumulating and casting all the spells. A while back I wrote this thing about magical affinity, which is one way of doing it if you want to penalize stepping outside the archetype without totally forbidding it. Alternatively, you could also just handwave the restriction and assume that black wizards can’t cast white magic and vice versa (or maybe white wizards can be tempted to the dark side, but the transition is irreversible or very difficult to reverse). This entry was posted in Uncategorized and tagged cleric, magic-user on September 20, 2012 by Necropraxis. 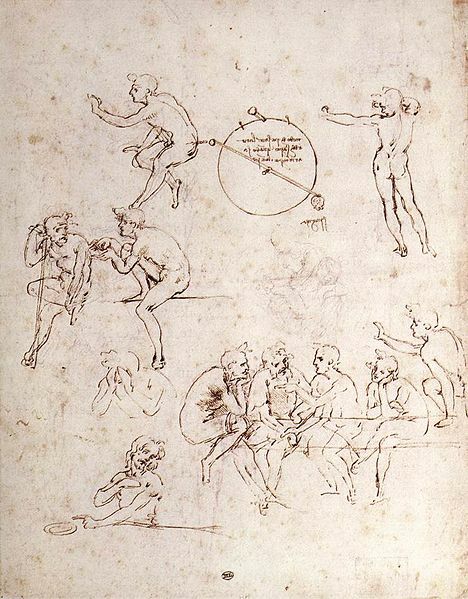 Traditionally, combat rounds were one minute long, and a single attack roll determined the outcome of the entire sequence of feints, parries, dodges, and strikes that occurred durring that time. This is a simple system, and it works well with melee attacks, as they don’t use up any resources. The abstraction breaks down for missile weapons though, which require ammunition. Even if you shorten the round to 10 seconds (B/X) or 6 seconds (Third Edition), that doesn’t really address the problem if you want to keep combat abstract and fast-paced. Here is a variation on his idea. I also like the option of allowing ranged attackers to spend more ammunition in exchange for a bonus or additional effect. It doesn’t complicate combat much (assuming the potential effects are simple), and gives players with characters wielding missile weapons an interesting choice to make every round. Collections of ammunition are tracked rather than individual arrows or bullets (quivers, cases, pouches, or whatever makes sense for the weapon in question). Ammunition does not run out durring combat (though see “volley” below). Instead, each weapon has an ammo die which is rolled after combat to determine if there is ammunition remaining. If the ammo check comes up 1, the current quiver is exhausted. The default ammo die is d6, though special weapons may use a different die. Rolling the ammo die also represents collecting any reusable ammunition, and the referee may assign penalties to the ammo check if recovering some ammunition would not be possible situationally (such as if firing across a chasm). Ammo checks are not used for missile weapons that don’t have aggregate measures of ammunition, such as throwing axes or daggers. Depending on referee ruling, this ammunition rule may be used with bandoliers of throwing knives or shurikens. Referees may also opt to track ammunition more closely for special combats involving attrition, such as if characters are trapped in a foxhole. Special ammunition (where the rarity of an individual missile is important, such as an arrow of slaying) should be handled separately. During combat, if using a weapon with ammunition, a ranged attacker may choose to expend more ammo in exchange for a bonus to attack or damage. This option requires an immediate ammo check, and if the ammo check fails the quiver is exhausted by the volley. This ammo check is in addition to the check required post-combat. Because ammunition is still being tracked in aggregate units (quivers, clips, etc), resource management remains. An archer is potentially rewarded for thinking ahead and bringing extra quivers, though that comes at the cost of having less space for treasure or other equipment. Quivers, at least for arrows, are pretty bulky, and it’s hard to imagine carrying more than 2 or 3 and still operating efficiently. Note that this also abstracts away reloading times. This is probably a good thing, as reload rates have far too large of an effect on combat efficacy. A two shot per round longbow just blows away a one shot every other round heavy crossbow, so consequently nobody ever uses heavy crossbows. Even if a heavy crossbow had significant bonuses against heavy armor (or something), the variance of the d20 means that you are probably better off with multiple shots and relying on lucky high numbers (though the exact probabilities will depend on other specifics). This entry was posted in Rules and tagged combat on September 16, 2012 by Necropraxis. Following my recent general discussion about ability scores and their role in tabletop RPGs, here are the actual Hexagram rules. Let me know if I have left out anything important that you think belongs in a section about ability scores. Ability scores help define characters by quantifying strengths and weaknesses. They affect the game directly in two ways. Each ability score provides a small bonus or penalty. For example, an exceptional dexterity (greater than 12) grants a bonus of +1 to missile weapon attacks (or -1 for a score below 8). Additionally, the referee may call for ability checks to resolve some situations. To succeed at an ability check, you must roll less than or equal to the score in question on a d20. Ability checks may be used to impartially resolve outcomes that are not covered by other, more specific rules. Ability checks are also used to determine how long something takes under trying conditions even if it is assumed that the action will be ultimately successful. In rare cases, bonuses or penalties may be levied on the check due to situation. Because of the large variance of the d20 roll, treating abilities as five points lower or higher when adjusting difficulty is suggested, but the unmodified score should be applicable for most situations where an ability check is useful. Character path need not be determined by ability scores. For example, it may seem like a character with an average or low dexterity is unsuited for the path of guile. However, a character that focuses on using antediluvian technology may be better served by a high intelligence! A warrior who aspires to lead soldiers rather than stand on the front line with sword and shield may be better served by a high charisma! Further, ability scores do not have enough mechanical weight within the Hexagram system to determine success. They should more correctly be looked upon as a tool to tell you something about your character as an individual, with minor system effects to keep the abilities salient without being overwhelming. Your wits and creativity as a player are far more important than your character’s ability scores. Feel free to try counterintuitive ability score / path combinations; such may lead to idiosyncratic and memorable characters. All modifiers are a penalty of 1 if the score is less than 8 or a bonus of 1 if the score is more than 12. Time-based tasks may require more than one successful ability check to complete. For example, pushing a heavy box through a door while under attack by enemy archers. The longer it takes, the more shots the archers will be able to get off. Some such tasks may allow multiple characters to contribute, at the cost of being unable to take other actions at the same time (such as return fire). Ability checks may be opposed. For example, to resolve arm-wrestling, two characters might each make a strength check and compare the degree of success (that is, the number by which the check was made or failed by). Best of three is recommended to resolve such head-to-head conflicts. It’s not always necessary, however, to determine everything by checks, especially if nothing interesting is at stake. The above arm-wrestling example could just as easily be resolved by comparing strength scores directly. Ability checks are never used to resolve a potentially fatal situation. Instead, saving throws are used in such cases. It is important to use saving throws because they improve with level and thus reward extensive play. Several of the example ability checks above may seem like they are resolving life or death situations (like the holding of breath), but what they are really doing is postponing the necessity of a saving throw. Ability checks will often buy time, one of the most valuable resources to adventurers. Ability checks are never used for gathering situational information. All obvious features are communicated directly by the referee. Locating hidden features, however, requires further explicit character action. For example, if there is a room with a map concealed beneath a rug, the referee will only describe the rug. If characters do not look under the rug, they will not find the map. 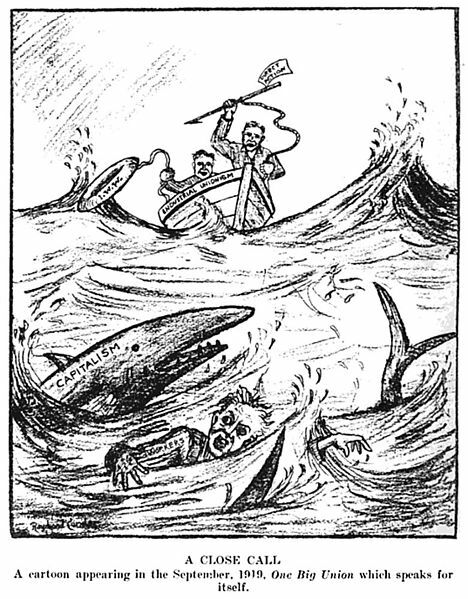 Players may also opt to perform an abstract search, at the cost of spending time (this often has potentially deleterious consequences, such as encountering enemy patrols, and so is wise to avoid when possible). See “searching” in the adventuring procedures section, and note that characters on the path of guile gain bonuses to such abstract searching (though time must still be spent). This entry was posted in Uncategorized and tagged Hexagram on September 15, 2012 by Necropraxis. For Hexagram, after some consideration, I have decided to preserve the classic six ability scores, with normally distributed (that is, 3d6) ranges, though with decreased direct mechanical weight. 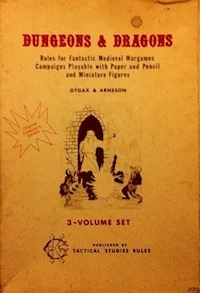 The classic scores are easy to understand, provide enough dimensions to make characters seem unique, aid in developing a character’s personality, and provide a convenient resolution mechanic (the roll-under ability check) for many supplementary tasks. Intelligence and wisdom can sometimes feel like they cover the same space, though. In the first version of the game, intelligence and wisdom were prime requisites (for magic-users and clerics, respectively) and gave a small bonus to earned experience for those classes. The only other effects were bonus languages from intelligence, and some loose roleplaying guidance. Thus, the only thing we can really say about these ability scores at this point is that intelligence has more to do with book learning and wisdom with spiritual connection (to deities, or perhaps the cosmos at large). Moldvay (and, obviously, AD&D) started to attach more mechanical consequences to ability scores, and this expanded (or perhaps more thoroughly pinned down) their meanings. I’m not really interested in the complexity of AD&D ability scores (especially with the beginning of optimization tendencies associated with racial bonuses, exceptional strength, maximum spell level, minimums required for classes, and all that), so I’m going to stick with Moldvay for discussion purposes. Intelligence and wisdom maintain their experience bonus function as prime requisites, but wisdom also affects saving throws against magic (following the now mostly standardized +1, +2, +3 bonus progression). This already starts to create some extra confusion though. If intelligence is the thing used by magic-users, why is the save versus spells affected by wisdom? For Hexagram, intelligence is intellect and rationality, while wisdom represents intuition, willpower, and magical acuity. As both spiritual and sorcerous archetypes walk down the path of wonder, wisdom is probably the ability score most associated with wonder workers, and gives a small bonus to saving throws versus magic. Intelligence helps with utilizing antediluvian machines (and more mundane devices, too). The mental ability scores are further complicated by the player/character split. All tabletop RPGs that I can think of involve some puzzles that the player must solve independently of character abilities. There may be some aspects of the game that you can use mental ability scores on digetically (for example, an intelligence check to recognize the origin of an ancient inscription). This varies by edition and specific gaming group, but even Fourth Edition requires the player to reason about, for example, tactical positioning, which is almost certainly something that an 18 intelligence PC would be better at than the player. This is not a problem; if these things are games, there must be some way for the player to play them. Further, one or the other scores often do double duty as a perception or situational awareness ability in games that don’t have a separate perception skill. It looks like Fifth Edition is going in this direction. I don’t believe this serves the game well, and in Hexagram ability checks are never used for gathering situational information. All obvious features are communicated directly by the referee. Locating hidden features, however, requires further explicit character action. I call this THE PERCEPTION RULE. For example, if there is a room with a map concealed beneath a rug, the referee will only describe the rug. If characters do not look under the rug, they will not find the map. 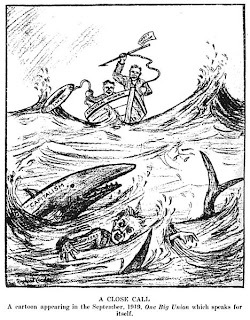 Players may also opt to perform an abstract search, at the cost of spending time (this often has potentially deleterious consequences, such as encountering enemy patrols, and so is wise to avoid when possible). One common modification to the traditional ability score spread and paradigm is to collapse similar ability scores together. For example, to have a single body score in place of strength and constitution, or a single mind score in place of intelligence and wisdom. Microlite goes this route, as does X-plorers and Adventure Fantasy Game. One downside to this approach is that it can make different characters seem very similar to players that look to the numbers for some idea of what makes a given character unique. Ultimately, many different levels of ability score resolution could work, and none will truly reflect the multifarious aspects of a fully realized person. For example, is it worthwhile to differentiate between bodily agility and manual dexterity? White Wolf games use a nine-fold division into physical (strength, dexterity, stamina); social (charisma, manipulation, appearance); and mental (perception, intelligence, wits). Skills & Powers (D&D 2.5) provides two subscores for each of the classic six: strength (stamina & muscle), dexterity (aim & balance), constitution (health & fitness), intelligence (reason & knowledge), wisdom (intuition & willpower), and charisma (leadership & appearance). Certainly, there exist real people with high intuition but low willpower. For my purposes though, I think the six-fold division strikes a nice balance. Another common modification is to collapse saving throws and ability scores into a single system. There has always been some level of confusion over what exactly saving throws represent. Is a saving throw versus wands a dodge? If so, why doesn’t dexterity provide a bonus? Further, some early products used the term saving throw in a more general way, and allowed saves versus ability scores. In a game without levels, ability checks as saving throws seems like the way to go, but in a game with advancement, the saving throw has an important separate function, which is to reward successful play. You can’t just make a character with a high save versus poison (like you can potentially with constitution). You have to earn it. Also, divorcing the saving throw from randomly determined ability scores is important to game fairness: remember that a beginning PC may have a constitution score of anywhere from 3 to 18 (if used as a saving throw, that’s a huge range of variation for surviving a potentially fatal hazard). That entire range should produce a viable and playable character. Saving throws even the playing field in terms of catastrophic risk, while allowing interesting character variation. If the game does not include the possibility of catastrophic risk, this is not a concern, but if it does, the game design of the saving throw is very important. Thus, ability checks cannot be used in place of saving throws. I call this THE SAVING THROW RULE. One final cosmetic note. The original ability score order was strength, intelligence, wisdom, constitution, dexterity, charisma. The reason for this order is that the first three are the prime requisites, in the order of class importance, fighter being the default and most general class (strength), followed by the magic-user (intelligence), and finally the more specialized blend of the first two, the cleric (wisdom). As I’m not using experience modifiers by prime requisite, and am interpreting all of the ability scores more diegetically, the later physical / mental order is more appropriate (strength, dexterity, constitution, intelligence, wisdom, charisma). My next post will cover more literally the ability score rules for Hexagram, and how ability checks work. This entry was posted in Uncategorized and tagged Hexagram on September 14, 2012 by Necropraxis.